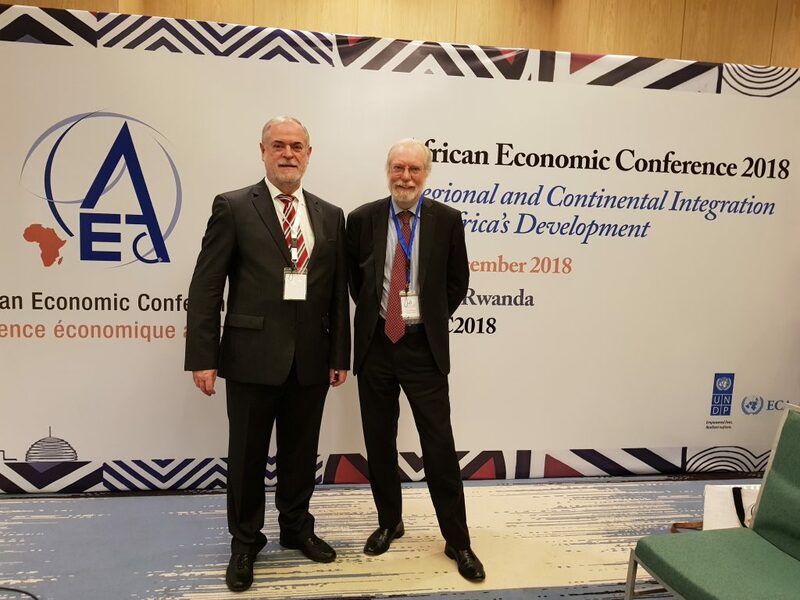 After his participation at the 3-5 December African Economic Conference 2018 in Kigali/Rwanda, GLO President Klaus F. Zimmermann, traveled on December 5 from Kigali through Doha and Hongkong to reach Xiamen on December 6. His travel had begun on 1 December 2018 in Brussels and Bonn. 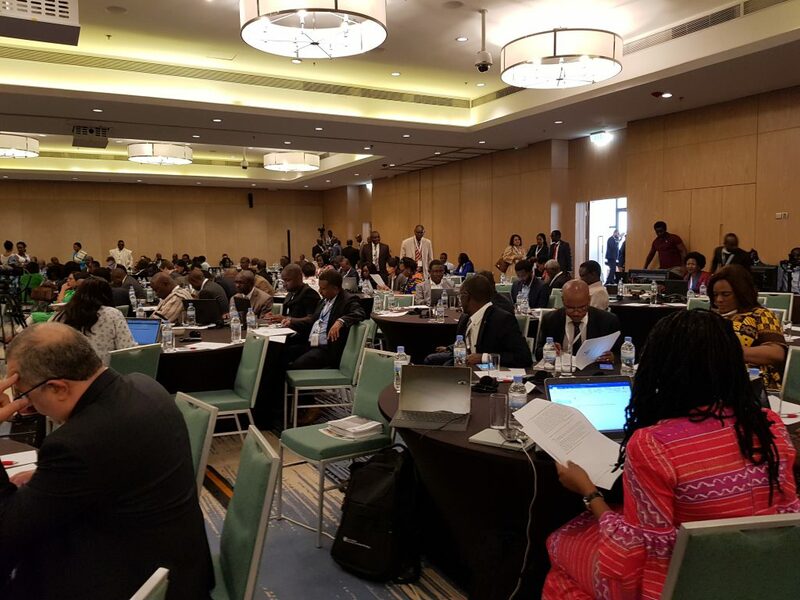 In Kigali/Rwanda the Marriott Hotel had hosted the 3-5 December African Economic Conference 2018 organized jointly by the African Development Bank (AfDB), the United Nations Economic Commission for Africa (ECA) and the United Nations Development Programme (UNDP). This year’s topic was “Regional and Continental Integration for Africa’s Development” and Zimmermann spoke in the prestigious opening plenary session 1, the “High-level panel on drivers, opportunities and lessons for Africa’s integration” (see below for further information). “A Prosperous Africa, based on inclusive growth and sustainable development. A Peaceful and Secure Africa. Africa with a strong cultural identity, common heritage, values and ethics. An Africa whose development is people driven, relying on the potential offered by people, especially its women and youth and caring for children. Regional integration will also be fostered by the creation of free labor mobility as envisaged in the “African Passport and free movement of people” project of Agenda 2063. It is seen as an integral part of the AfCFTA, what the affiliated Free Movement of Persons Protocol demonstrates. The aspired labor mobility could contribute significantly to continental integration. 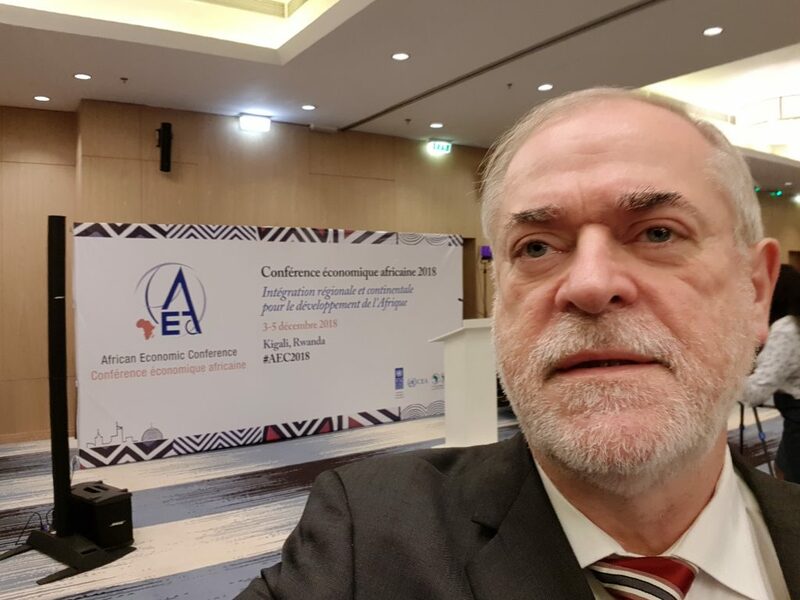 The African Economic Conference 2018 on the special theme of Continental and Regional Integration for Africa’s Development provided the possibility to analyze and discuss the potentials and challenges of free trade and migration for the further integration of the African continent. In the prestigious opening plenary session “High-level panel on drivers, opportunities and lessons for Africa’s integration”, high level principals from the collaborating institution as well as high-level experts, policymakers, and practitioners were sharing their reflections and perspectives on Regional and Continental Integration for Africa’s development. This had set the stage for the conference by outlining drivers, opportunities and lessons for more effective integration in all its dimensions (economic, social, political, environmental) and faster progress in meeting Africa’s development aspirations in terms of trade, migration, financial flows and innovation for Africa’s integration. Prof. Ademola Oyejide, Emeritus Professor of Economics, University of Ibadan, Chairman, Centre for Trade and Development Initiatives (CTDi), Nigeria. In his contribution, Zimmermann praised the Agenda 2063 with its very promising vision, but also reminded the audience about the many challenges caused by national interests as have become transparent in the European integration process. The necessary creation of 700 – 800 million jobs until 2063 could only be realized in collaboration with Europe and Asia that would need many more workers over this period. A strategic pact would be appropriate that could involve circular migration and investments in education and vocational training in response to a joint monitoring of illegal migration. The conference provided all the required possibilities for an exchange of ideas and the creation of new contacts. Presented were also (i) the 2018 Africa Sustainable Development Report, (ii) the African Economic Outlook 2018 and (iii) the Africa Visa Openness Report 2018. As the Visa Openness Report states, African countries have indeed become more open to each other by visa-free or visa-on-arrival access, and the expanding digital technology promotes efficiency and an increasing access to information. As a consequence, Africans do not need a visa to travel to 25% of the other African countries, and they can get visas on arrival in 24%. However, visas to travel are still required for 51% of the countries (Africa Visa Openness Report 2018, p. 10). Zimmermann traveled with a German passport; no form was needed to file, just to answer a few obvious questions and to pay the visa fee of 30$. Then the visa was stamped upon entry in the passport. Very simple and convenient. Above: Zimmermann before the opening ceremony. Below: Full concentration before the beginning of the conference. Below: Official opening; Hon. 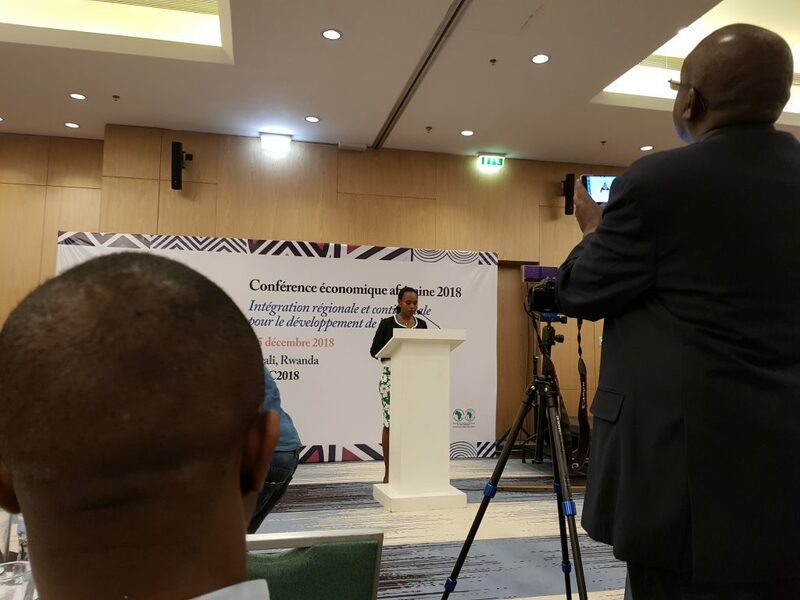 Claudine Uwerta, Minister of State in Charge of Economic Planning, Ministry of Finance and Economic Planning, Rwanda. Below right: Paul Collier, Professor of Economics and Public Policy in the Blavatnik School of Government at the University of Oxford. Before his keynote speech and the panel exchange with Zimmermann. This entry was posted in Events, Media, Policy. Bookmark the permalink.